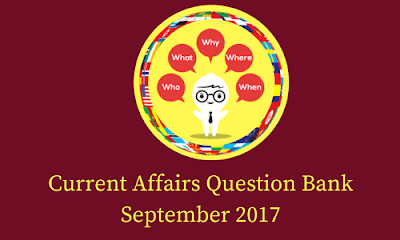 The current affairs question bank for the month of September is ready to be downloaded free of costs. This question bank covers 150+ important questions from the current affairs of the previous months. The questions are based on various news i.e. banking, appointments, govt.schemes, national and international events, sports and appointments. It will help you for the upcoming banking, SSC and other competitive exams.